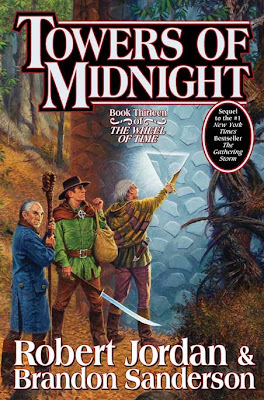 After a few false starts we finally have the final cover for the penultimate book in The Wheel of Time series for The Towers of Midnight by Robert Jordan & Brandon Sanderson. 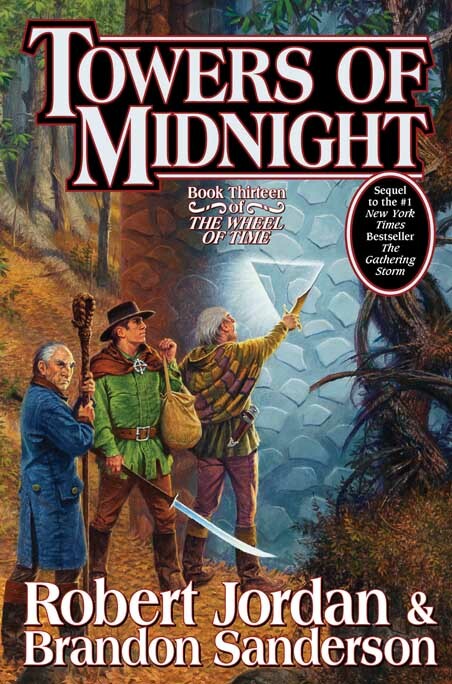 I have to say this is one of the best covers of the series, but the eBook relaunch art keeps blowing me away. If you visit DragonMount you can take a gander at the full wraparound art by Darryl K. Stewart.